Camping Alpenblick är en camping i Interlaken, Bern, belägen vid en flod/ en bäck och vid en sjö/en rekreationsplats. Campingen har platser med stängsel, med skugga, utan skugga och platser med lite skugga. Det finns möjlighet att hyra tält. På campingen finns en lekplats och ett sportområde. För den sportige semestervandraren har campingen olika cykelleder. I den närliggande omgivningen kan du också simma en flod/ en bäck och i en sjö/rekreationspool. I Camping Alpenblick är det tillåtet att vindsurfa och åka vattenskidor. Denna inspektör gör varje år ett besök på Camping Alpenblick och inspekterar campingen för ca 200 faciliteter och för andra förekommande punkter. Inspektören är en medarbetare från ACSI och arbetar inte för campingen. We stayed one night at this excellent site in a beautiful setting. You do get some noise from nearby road but this did not spoil our visit. Facilities were very clean and of high standard. The reception was a nice area and staff were friendly and helpful. Nearby is lake and we got bus into Interlaken from across road with free passes in price of site. Nice town worth a visit. Disappointing WiFi reception only available at reception and even then, intermittent. Quality good but no reduction with ACSI card so quite expensive. Dear all. Big thank you for everything! I really do recommend this campsite especially for the kindness of the staff and the management and also for the very good location. See you soon! Best regards. What a great site! Pitches are a reasonable size and the site has a lovely country feel with views of all the local mountains. There is a great cycle route into Interlaken which is also stunning, if touristy. There are quite a few permanent residents on the site but they are incredibly friendly/welcoming to us tourers. The sanitary facilities are exceptionally clean and well appointed. The lake front is a very short walk from the site. We also had bus passes for free travel given to us by the site. Tax in addition to the ACSI price is higher in Switzerland than elsewhere and we were charged 2% for using a bank card to pay. The site is easier to reach from Bern than from Zurich/Luzern from where some of the route is winding and mountainous. The best site we visited on our tour. Would have stayed longer than the 8 days here but had an itinary to follow. Hang gliding experience here and golf all in walking distance of campsite. Picturesque area with Eiger and Jaunfrau mountains as a backdrop. Interlaken easily accessible on bikes or by bus. Area not cheap, Bus free with campsite booking. Very nice camping in this area. Our pitch have a big size with unobstructed view to the sorounding montains. Beautifull! Restaurant is nice with a special thing you can cook your meat on barbecue yourself! Nice thing! My wife love the meat cooked by me. On a serious way, this place is nice and the people are very friendly. We love it. The best bit is the location. Stunning surroundings, bus stops right outside, walk to lake. The welcome is amazing. Information is detailed and of course free transport. Most polite and helpful reception we have encountered. Sanitary facilities spotless but main block closed in this low season. Appeared that the only hard standing was where we were allocated behind Reception, very close to other vans. Could be a problem if you expected a bit of space. Like so many places the water point was on top of the chemical water point so we didn't use that. Very friendly site nothing too much trouble. Great views, right on edge of lake,great for dogs to swim. Hand gliders great view of them. An outstanding camping park in all respects.Good staff and well located..bus....At front door which is included in the taxed price.The pitches are good size and the toilets and showers are first class...although when it's busy there appears to be insufficient numbers of both.Great base for touring the area and the mountains all on public transport .Recommend the old train up to Schynge Platte..great day and many great views. A lovely site near the lake with mountain views and free bus to Interlaken. From Interlaken you can take trains up into the mountains so everything really accessible from the site. We stayed in a camper van on site and found the toilet and shower facilities to be second to none! We will definitely be returning to this site and would recommend it. This campsite (some shade) is in a really good spot a short walk to Lake Thun. The free bus stops right outside and it is very convenient for visiting the nearby mountains. The toilet facilities are spotless and the best we have ever found. The staff were really helpful when I had an infected insect bit bite. They organized an appointment at the local doctor and gave easy directions. The bistro was popular although we did not have time to try it. Vill du boka campingen Camping Alpenblick eller få mera information? Det går bra med nedanstående uppgifter eller via campingens webbsida. 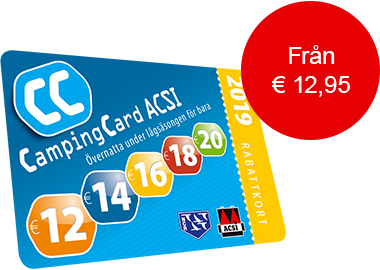 ACSI Eurocampings skickar din informationsförfrågan till "Camping Alpenblick".